Vitamins | Your Health. Your Lifestyle. Most people get enough vitamin D naturally — through sunlight. But our sun exposure is often limited this time of year due to shorter days and colder temperatures. Adding vitamin D through your diet can be difficult because few foods have much of it. This vital vitamin assists the absorption of calcium, which leads to stronger bones and protects against osteoporosis, hypertension, cancer, and several autoimmune diseases. Remember to ask your health professional about vitamin D supplements as well. Health. When You Have it, Life is Good. Every day is an adventure. Which is why, every day, you make a hundred different choices to support your healthy lifestyle. That’s why USANA provides products to meet all your health needs. We’ve got the Essentials™ for your core cellular nutrition; we’ve got Optimizers to customize your supplement regimen; we’ve got Sensé™ personal care products and diet and energy products for everything in between. 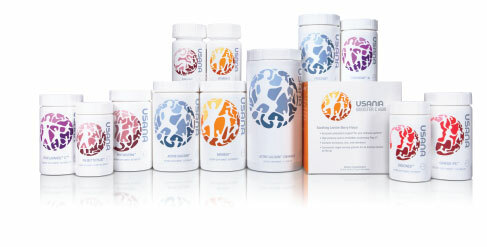 Choosing USANA means choosing health. So go ahead. 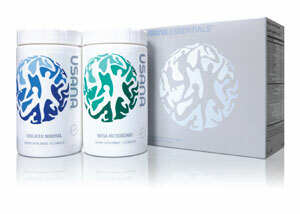 Choose USANA. And then get back to what matters most. The name says it all. On the most basic, human level, there are certain nutrients everyone needs. This is your foundation for good health. The cardiovascular system includes the heart and blood vessels. It is responsible for circulating blood, which carries nutrients, oxygen, and waste throughout the body. Consisting of the brain, spinal cord, and nerves, the nervous system collects and processes information from inside and outside the body and sends relevant commands to the muscles and glands throughout the body. The fundamental molecules of life, cells have unique functions in every part of the body. Our health depends on repairing and regenerating cells to keep them functioning properly. Bones, cartilage, and connective tissues make up the skeletal system. This important framework of the body provides us with support, allows for a wide range of movement, and protects internal organs. The endocrine system is a group of glands that regulate body processes by producing hormones, the chemical messengers in the body. These hormones affect various glands in the body. From the mouth to the colon, the digestive system includes all the organs involved in breaking food down into forms that are useable by the body and removing waste and toxins.grouped by body system. There are numerous tricks you can implement to help burn bodyfat. The key principle above all others is to create a calorie, or energy, deficit to stimulate the body to burn bodyfat as fuel. That means eating less, whether it be fewer calories from dietary fat, carbs or a combo of the two. Conventional wisdom states that you have to eat fewer calories daily to shed fat. Not true. On average, you have to eat fewer calories over a seven-day period to drop bodyfat. You can fudge a bit by eating fewer calories than normal for a couple of days, followed by a couple of very strict days and then a few days where you eat roughly what you did before starting the diet. When excess calories from dietary fat and carbs are removed from a diet, the body burns small amounts of amino acids from protein or, worse, muscle mass when calories decline. The extra protein protects muscle loss, because it can be burned in lieu of muscle tissue. If you cut calories too drastically, the body tries to hoard energy by slowing down its metabolism, the calorie-burning mechanism in the body. Moderate cuts in calories, such as decreasing daily caloric intake by 200-400 per day (or 1,400-2,800 per week), allows the body to tap into fat reserves without throwing the metabolism into a tailspin. Of the three sources of energy (carbohydrates, protein and dietary fat), protein has the least impact on fat storage. Overeating calories from carbs and dietary fat will lead to their accumulation as bodyfat. That’s not to say you can, or should, gorge on protein. It means you should add more protein from chicken, turkey or fish instead of snacking on additional carbs or fat to satiate hunger. Although reducing dietary fat and carbs results in fat loss, keeping carbs down for a prolonged period (more than seven days) can deplete glycogen (stored carbs) reserves in muscle. Low glycogen can trigger the burning of metabolically active muscle tissue. Increasing carb intake by 100-200 grams once each week should replenish glycogen reserves sufficiently to avoid muscle loss and may even increase the metabolism. Synephrine, evodiamine and capsaicin are common thermogenic agents. They stimulate the nervous system to increase the production of norepinephrine, which, in turn, causes fat cells to release and burn bodyfat. Thermogenics are predominantly helpful in preventing the metabolic slowdown that comes with long-term dieting. Sometimes you have to go to the extreme. A very-low-carb day once every 10 to 12 days, during which you limit your carbs to just 50-80 g, can trick the body into greater fat loss by lowering glycogen reserves. That amplifies fat burning. Over time, all diets ultimately cause slowing of the metabolism. 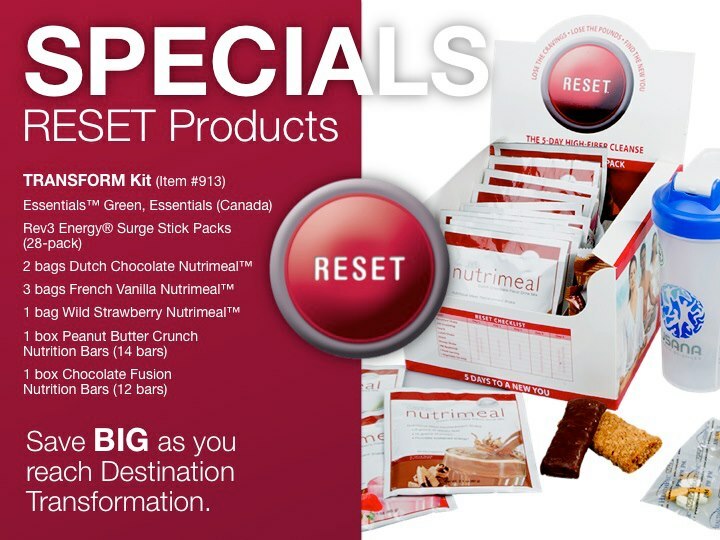 When you hit a true “nothing works” roadblock, get off your diet! Eat anything you want for a couple of days within reason. Load up on “good” carbs and fat before returning to the diet. This splurge will kick up thyroid hormones, which tend to spiral downward with long-term dieting. Once you’re back on your diet, your body will resume burning bodyfat. Let’s compare two diets with equal amounts of calories and carbohydrates, with the sole difference being the source of carbs. One diet comprises fast-digesting near-fiber-free carbs, such as rice cakes, white rice, white bread and cold cereals. The other comprises slower-digesting fiber-dense carbs, such as oatmeal, whole-grain bread, beans, brown rice and sweet potatoes. The fiber-dense approach will likely result in greater long-term fat loss. Why? Higher amounts of insulin are generally associated with greater fat storage and lower fat burning. Fiber slows the digestion of carbs, which moderates insulin secretion. Glutamine spares the burning of branched-chain amino acids, which are used in greater amounts when calories decline. Glutamine has also been found to increase metabolic rate and fat burning. Try 5 g of BCAAs before training and another 5 g after training, as well as with breakfast and before bed. When you train with restricted amounts of glucose from carbs in the bloodstream, the natural, training-induced release of the fat-burning hormone norepinephrine exerts a greater impact on fat cells. That’s why the pretraining meal should be a combo of easy-to-digest protein, such as whey protein, with relatively limited amounts of carbs (less than 20 g). Particularly, the carbs should be slow-digesting types, such as fruit, oatmeal, Cream of Rye cereal or whole-grain bread. Many types of fish are virtually fat free and when you deprive the body of the fatty acids found in dietary fat, it encourages the breakdown of bodyfat to make up for the fatty-acid shortfall. 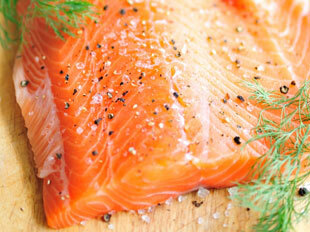 The result when you add fish to your eating plan: you will burn more fat. Even “high fat” fish, such as salmon, bluefish, mackerel and tuna steaks, are “leaner” than protein foods that have comparable amounts of dietary fat, such as red meat, cheese or eggs. These fish sources provide omega-3 fatty acids, which encourage the body to take glucose from carbs and repartition it, sending it down glycogen-storing pathways rather than fat-storing ones. A four-month study demonstrated that 63 overweight subjects who ate higher-fat fish daily lost more weight than those eating fish only once per week. Calories count, and so does the source of the calories. Check out this study. Two groups of women followed a 1,600-calorie daily diet that included 50 g of fat. The difference was that one group went with higher protein and fewer carbs, while the other followed a higher-carb, lower-protein menu. After 10 weeks, both segments lost a similar amount of weight, but a closer look reveals that the higher-protein group had higher thyroid levels and metabolic rates, lost 18% more fat and retained 27% more muscle. The takeaway message: the type of calories affects fat loss. When in doubt, the way to go is more protein and fewer carbs. A secondary goal while dieting is to maximize GH output. GH spares the burning of muscle, thereby propping up the metabolism and encouraging the breakdown of bodyfat. GH levels rise in the first 90 minutes of sleep, but the total amount of glucose (from digested carbs) in the blood affects GH release. In short, a low blood-glucose level allows for maximal GH release. Abstain from carbs in the final meal (or two) before bed. If you are eating fewer weekly calories than your body is accustomed to, nothing beats eating at least five times a day. Small meals impact fat loss by preventing the metabolism from slowing. They also keep energy levels more stable and ward off feelings of hunger, which is helpful to a dieter trying to get by on less food. Gamma linolenic acid is an essential fatty acid common to borage oil and black currant seed oil. Conjugated linoleic acid is a fatty acid contained in dairy foods and beef (both are available in supplement form). GLA appears to induce the fat surrounding the spinal cord and organs, sometimes called metabolically inactive fat, to burn calories similar to muscle tissue. CLA likely affects hormone-sensitive lipase levels. HSL acts as a gatekeeper on fat cells to determine when to “open up,” so fat can be burned. CLA can upgrade HSL activity, making you leaner. The minute you cut calories too far, you start compromising muscle mass. Burning muscle, in turn, significantly impairs your long-term objective by slowing down the metabolic rate. As metabolism slows, continued fat loss becomes nothing more than an exercise in futility. The body simply does not respond well to continually pushing past the boundaries of lower-calorie intake, especially when implementing all kinds of diet and training strategies. When the body no longer responds, the ideal remedy is to take two or three days off from training while consuming a reasonable menu before beginning again. It’s a contrarian approach, yet it can be remarkably effective. Did you know, when you take all teams and organizations into account, Team USANA will be represented by more than 60 athletes at the Summer Games? Wow! Coenzyme Q10, or CoQ10, is a coenzyme naturally synthesized by the body and found in every cell, with highest levels located in the heart, liver, kidneys, and pancreas. Coenzyme Q10 plays an essential role in mitochondrial electron transport. As such, it is fundamental for energy production in human cells. Coenzyme Q10 is also an antioxidant. Its ability to quench free radicals helps cell membranes and intracellular membranes maintain structural integrity and stability.1 It further serves to reduce oxidation of low density lipoprotein (LDL) cholesterol. Evidence suggests that the most important antioxidant activity of Coenzyme Q10 involves regeneration of Vitamin E. Ubiquinol, the reduced form of CoQ10, may be responsible for the reduction of the Vitamin E phenoxyl radical. CoQ10 supplementation has been used to treat and ameliorate many conditions. Some of the best-documented effects involve cases of heart failure and heart disease, hypertension, periodontal disease3, and recently Parkinson’s disease4 and chronic fatigue syndrome. CoQ10 is synthesized in all cells of the body, but particularly in liver cells. The body’s ability to synthesize CoQ10 diminishes with age. Deficiencies may also result from reduced assimilation from dietary sources. Additional CoQ10 can be absorbed from food. Major sources of dietary CoQ10 include meats, fish, and vegetable oils (particularly soybean, sesame, and grapeseed oils).Vegetables are generally low in CoQ10 (with the exception of spinach and broccoli). CoQ10 supplements are available and safe. The compound is best absorbed by the body when taken with foods. The usual maintenance dose is 10-30 mg per day, although higher doses are used to treat heart and blood vessel disease.